Yemen's Houthi rebels said they launched drone strikes on a Saudi military base in the country's southwestern border province of Asir on Saturday, Houthi-controlled state Saba news agency reported. "The impact of the strikes is appalling". Saudi Colonel Turki al-Malki said on Al Arabiya television on Thursday: "Coalition did not carry out any operations in Hodeidah today". But their trek to safer areas is perilous as families often find themselves "having to courageous minefields, airstrikes and being forced to cross areas of active fighting all in a bid to escape" the fighting in Hodeida, a statement from the group said. "I found shrapnel from mortar shells, which indicated that the attack was from the ground not from the sky", he said. Salama said the main hospital building remained intact but many subsidiary departments, especially the statistical department, were hit, affecting workers preparing for the cholera campaign. In a relevant development in March, Yemen's military had also targeted King Khalid worldwide airport in Riyadh and as well as Abha, Najran and Jizan regional airports with ballistic missiles. Griffiths said, "It is time long past for us, together, to call for an early resumption of the political process, two years since the last round in Kuwait". "The unilateral suspension of our naval operations is for a limited period", the rebels said in a statement released by their defence ministry. UN Special Envoy to Yemen Martin Griffiths told the UN Security Council that "a political solution" to end the war in Yemen is "available" and urged world powers to support the new push for peace negotiations. The whole idea behind these attacks is to reinstate the internationally recognised government of President Abu-Rabbu Mansour Hadi in the region. Thursday's statement by Save the Children says that 6,238 people - half of them children - leave Hodeida on average every day but their trek to safer areas is perilous. 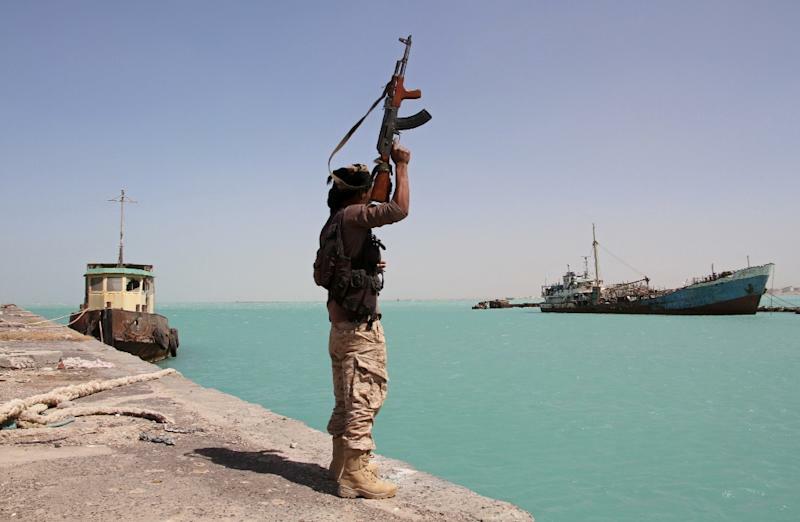 "We have tried to find a way to avoid a battle for the city and the port of Hodeidah and we are still trying", Griffiths told the council, adding that while the gap had been narrowed, he was still concerned that Hodeidah could be a flashpoint. On July 22, the rebels killed two people and injured 31, majority children, when they shelled a drinking water distribution point in the Bani Bakr neighbourhood of Hays city, south of Hodeidah.